Greetings from Orange Beach!! My name is Kate and I manage this condo for personal friends of mine, Newt and Jill Ogden. 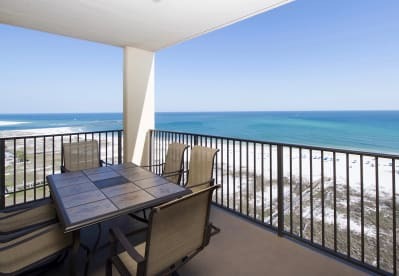 I also own and manage 2 other properties in Orange Beach and 1 in Perdido Key and absolutely love playing a part in helping people make lasting memories through vacations! Newt is a builder by trade and Jill has an amazing sense of style. Together they completely remodeled this 3 bed 2 bath condo on their own in 2015/2016. Jill has amazing taste and style and has created a casual but elegant home away from home. Trust me when I say the pictures do not do it justice! You'll just have to see for yourself! Won't you be our guest??! You won't regret it!